When you think about how much carpets are subjected to over time, it almost makes you feel sorry for them. Even with all the dirty shoes, messy kids and smelly pets that they encounter every day, we have high hopes of keeping up the appearance of fresh floors at all times so as not to be embarrassed by unappealing stains or funky smells, but that can only be accomplished with regular carpet care. 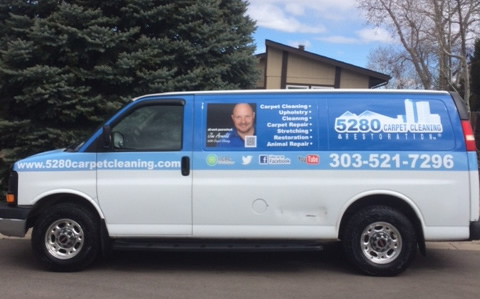 If you’ve started to notice your carpet looking dingy, worn down and quite possibly like it isn’t meeting the standard of hygiene you would like to see upheld in your household, it’s time to call in the Denver carpet cleaning professionals. Below are the following ways a deep clean will breathe new life into your floors once again. As dedicated as you may be to vacuuming, it will never be enough to fully extricate all the soil, dust, allergens and other contaminants that are rooted in the carpet fibers. Vacuuming will only take care of what’s on the surface, leaving the rest to build up until the carpet cleaners come in with their deep cleaning techniques and powerful extraction equipment. Only then can your carpets begin to shine again. Staring at stains day after day is an aggravating reminder of the coffee you spilled or the accident the dog had in the house or the mud that the kids tracked in. Instead of merely throwing a rug over ugly stains and letting the secret of what’s lurking underneath continue to bother you, opt for a stain removal treatment during your next carpet cleaning. When common home remedies won’t cut it, your carpet cleaner will often have a stronger solution for lifting out tough stains. Not moving your furniture around enough can leave major impression marks in your carpet and cause a breakdown of its structural integrity. You can usually get rid of those telling dents and retighten the twist of your carpet fiber during a steam cleaning, which uses water at very hot temperatures similar to the heat setting that manufacturers use to twist the fibers in the first place. Don’t panic just yet if it’s starting to seem like your carpet has seen better days. There are many things that a Denver carpet cleaning service can do to revive your floors in no time and get them back to their original condition.